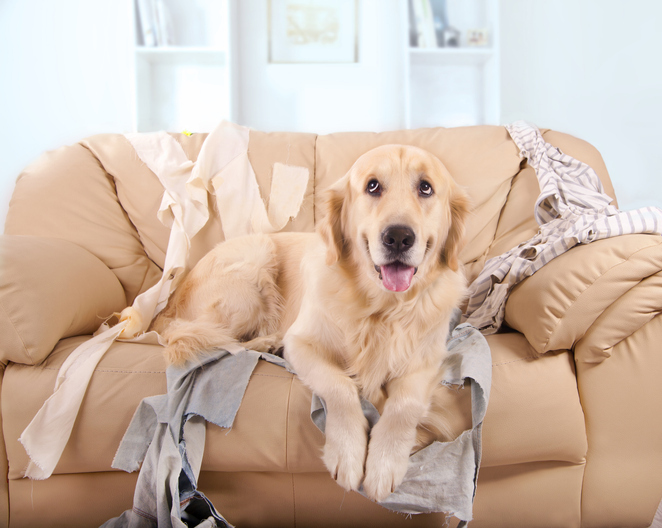 When decorating your living room, don’t put any candles, potpourri, or any decoration your pet could easily reach, ingest, or knock over. Also hide electrical cords so they won’t get chewed on or clawed at. If you have a cat, ensure the furniture you choose is sturdy enough to survive their claws. Fabric upholstery on a couch will die a slow death with Little Minca, your adorable Persian cat, using it as her personal scratch post. One of the simplest but most crucial things to remember is to keep your front door closed every time you enter or exit. Set up a small petgate in your entry way so you can easily separate areas your pet should be in. It also reduces the risk of your pet running out the front door as it opens and closes. A great way to keep your pets out of the fridge, cabinets, and drawers is by putting child locks or safety latches on them. This will help keep them away from any dangerous cleaning products or food they might ingest. Always make sure the trash can is tightly sealed so they won’t make a mess. Don’t leave anything sitting on the counter or table like flowers, fruits, candy, or chocolate. These may look gorgeous as centerpieces but they’re just mere toys or (dangerous) snacks to your pet. Those with dogs should keep the toilet lid closed. Even if your labrador prefers the taste of toilet bowl water more than what’s in his pet bowl, this behavior should not be tolerated for obvious reasons. This measure can also keep your cats from falling in. That is, unless your cat is trained to use the toilet bowl for their business instead of the litter box. Don’t leave any creams, toothpaste, or cosmetics lying around. Put them in cabinets or drawers with safety latches as an extra safety precaution. Also, keep towels and socks out of your pets’ reach. This tip is especially helpful for dogs who may be tempted to chew on or eat them. Doing so could cause severe health problems. Keep any food or cosmetics in your room out of your pets’ reach. If you have trash bins in your room, transfer them elsewhere to keep your pets from using these as their new hiding and play place. To keep your clothes safe from wandering paws, have your hamper securely tucked away. Also keep your shoes in a pet-proof area so they won’t become your dog’s new favorite chew toy – or worse. Firmly close your windows or if that’s not possible, have a durable screen installed on them to prevent cats from jumping out. Also, remember to check your closets or dressers for trapped cats because they have a nasty habit of sneaking in there. Keep the garage safe for your pets by removing any toxic materials like oil, paint, and antifreeze as well as sharp objects from places within their reach. As an added precaution, clean any antifreeze from the floor and driveway. Replace all cardboard boxes with more durable plastic sealable boxes to ensure your things are safe from curious pets. For cat owners with vehicles, always check under your car and hood before revving up the engine because cats tend to hide there during colder temperatures. To keep your home in great condition even with your fur-buddies, choose the right kind of flooring. Hardwood floors are not practical when you have pets. Bamboo flooring or tile is easier to maintain and clean up. For window coverings, choose blinds made from thick materials to withstand claws instead of cloth drapes. This also applies to doors. A scratch-proof fiberglass door is a better investment than one made from wood. For your petdoor, a pet-resistant screen door is a better option. Find the perfect home for you and your pets in any of the neighborhoods in Houston, TX. Call the Hunter Real Estate Group at (713) 572-0824 or email trace(at)hunterrealestategroup(dotted)com for more information.